As the muted reactions to Nick Bosa and Will Grier show, there’s a sea change afoot in the public sentiment toward those decisions. Welcome, By-Godders, to The Shotgun/Throwdown, WVU’s best place for sports links, information, sophomoric humor and daily distractions. As recently as 2016, elite players were decried for sitting out the final matchups of their college careers. But as the muted reactions to Nick Bosa and Will Grier show, there’s a sea change afoot in the public sentiment toward those decisions. With college football’s early signing period (Dec. 19-21) quickly approaching, West Virginia is putting together some of the final pieces for its class of 2019 puzzle. The early signing period is upon us. On Wednesday morning, Letters of Intent will be coming in from all over the country, solidifying verbal commitments as future Mountaineers in the Class of 2019. Don’t let anyone fool you. College athletics is a business. A massive, lucrative business. Sagaba Konate walked quietly out of the Mohegan Sun Arena on Sunday armed with two doggy bag containers of food and a bottle of ketchup. He said nothing, except to ask a local sports TV reporter a question about pictures, before walking out to the team bus with teammate Jermaine Haley. Rhode Island took advantage of West Virginia’s poor shooting to run away with an 83-70 victory over the Mountaineers in the Basketball Hall of Fame Classic at Mohegan Sun Arena in Uncasville, Connecticut, Sunday afternoon. The West Virginia University basketball team’s performance Sunday in an 83-70 loss to Rhode Island at the Hall of Fame Holiday Showcase was a tough one in which to find positives. The West Virginia University women’s basketball team scored 20 of the game’s first 22 points and never looked back in a 78-29 win over Eastern Kentucky on Saturday at the Charleston Coliseum and Convention Center in Charleston, West Virginia. Redshirt senior Christian Monserrat remains undefeated in dual action, as the West Virginia University wrestling team suffered a 37-3 loss at the hands of No. 24 Pitt on Saturday, at the Fitzgerald Field House, in Pittsburgh. The Early Signing Period starts Wednesday. When the winning head coach is on the turf in tears, you’re watching something special. The conference that lost three of its most prominent teams might have four of 2018’s 40 best. Valdosta State beat Ferris State at a high school field that’s nicer (and pricier) than most college fields. Teams will get new quarterbacks, but defenders will own the first round. The Monday Morning Pleighbook is a collection of the best things in the NFL from week to week. The legend of Nick Foles grows, while the legend of Tom Brady shrinks, even if for just one afternoon. Plus: John DeFilippo’s very bad week, Vance Joseph’s fourth-down call, and a rare moment of glory for NFL butts. It only took a 13-year rebuild. Give us our special-edition NBA Christmas jerseys back, you fools. 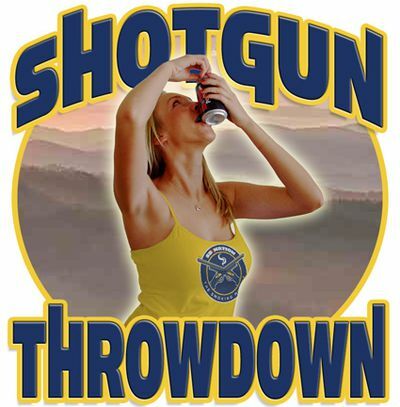 Have any tips, suggestions or requests for what you want to see in The Shotgun/Throwdown? Don’t hesitate to leave a comment below or contact us on social media.